The Orangeburg Cemetery Association purchased this land in 1888. 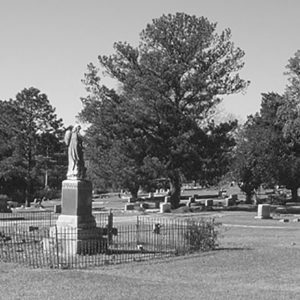 When it was chartered in 1889, the Orangeburg City Cemetery became the first non-church-owned cemetery for African Americans in Orangeburg. Many prominent African American residents of Orangeburg are buried here, including Johnson C. Whittaker, one of the first African American cadets at West Point (and father of Miller F. Whittaker), and Robert Wilkinson, a president of South Carolina State.